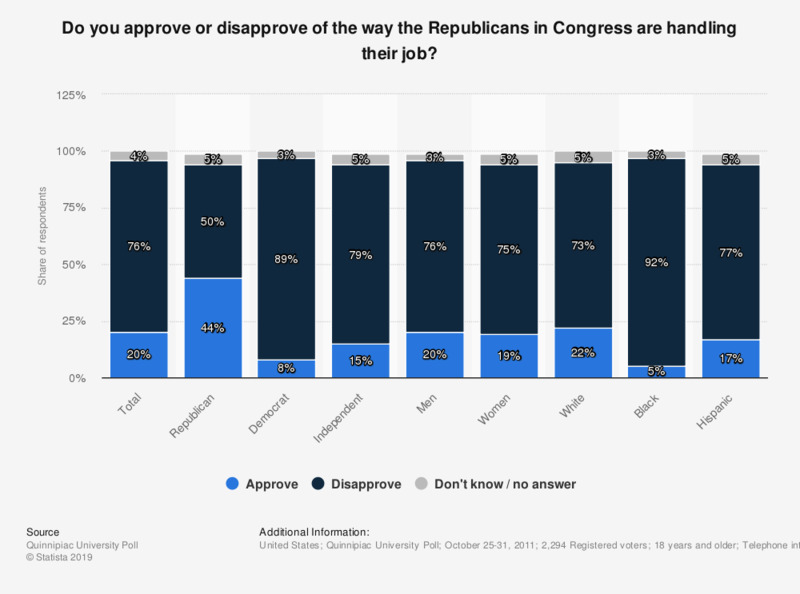 This statistic shows the public approval or disapproval of the way the Republicans are handling their job in the U.S. Congress. The survey was done between October 25 and 31, 2011. Overall, 20 percent of the American voters approve of the Republicans in Congress. They get the highest approval rate from voters that are Republicans (about 44 percent) and from white voters (about 22 percent).